Managing Autism. Neuroscience steps in to Help. After over six years of research, development and extensive user-testing, a cutting-edge neuroscience product designed to help manage the challenging symptoms of autism has just been launched. 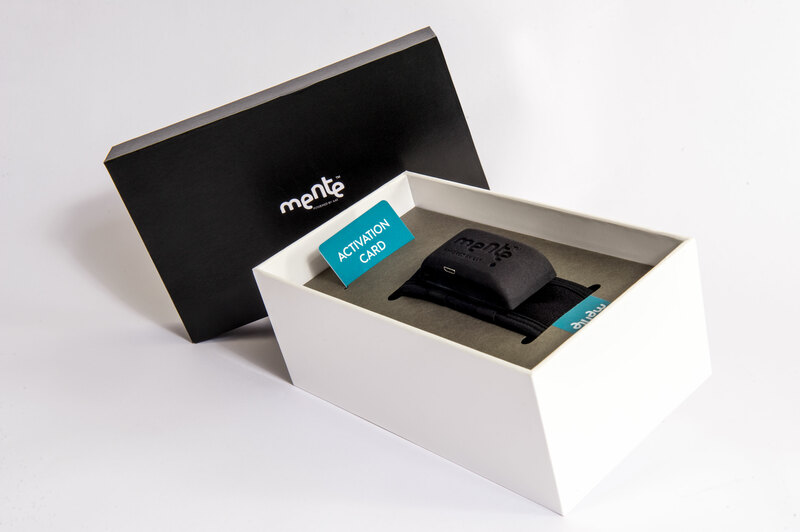 The device, MenteTM, which is widely heralded as a first in its field worldwide, is based on Neurofeedback and is specifically developed for home use by autistic children without the need for specialist assistance. It is one of several neuroscience products aimed at the health and medical sector being developed by Malta-based neuroscience research and development lab, AAT Research. MenteTM itself is closely associated with AAT Founder and Managing Director, neuroscientist Dr Adrian Attard Trevisan, who developed the product after experiencing the challenges a friend faced in managing his son’s condition. The device is set to revolutionise the way parents and health professionals support autism spectrum disorder (ASD) children. “This is personal for me,” said Dr Adrian Attard Trevisan. “When I was a student in Brittany I stayed with a family whose son had Asperger’s. I spent time observing him, trying to understand his behaviour. I wasn’t observing him dispassionately, as a scientist conducting an experiment. I was watching him carefully to see where and how I could help the boy and my friend. I knew I had to help. This is when I started to think through how Neurofeedback could be key to allowing my friend’s son, and others like him, focus and better engage with the world around them.” While MenteTM works on all ages and across a spectrum of autism conditions, AAT prioritises targeting MenteTM at school-age, autistic children. In autistic children, the Delta brainwaves, which are naturally elevated at night, remain over-active during the daytime. This causes many of the symptoms and distractions typically associated with autistic people as they struggle to cut through their ‘mental noise’. 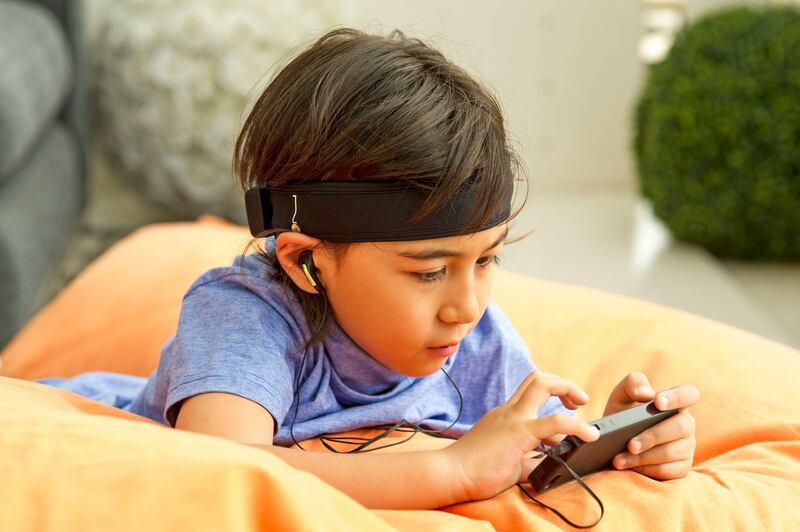 MenteTM patented technology listens to the autistic child’s brainwaves to create personalised sounds (binaural beats) designed to stimulate the reduction in the user’s Delta brainwaves. “The technology may be high-tech but the objective is very simple: reduce the user’s Delta wave and the mind becomes calmer,” explains Dr Trevisan. “The idea is not too dissimilar to the way noise- cancelling headphones work. These produce counter-noise to reduce unwanted background sounds. MenteTM does something similar with brainwaves. Luckily, unlike noise-cancelling headphones, the effect of the use of MenteTM lasts even when the MenteTM headband is removed. 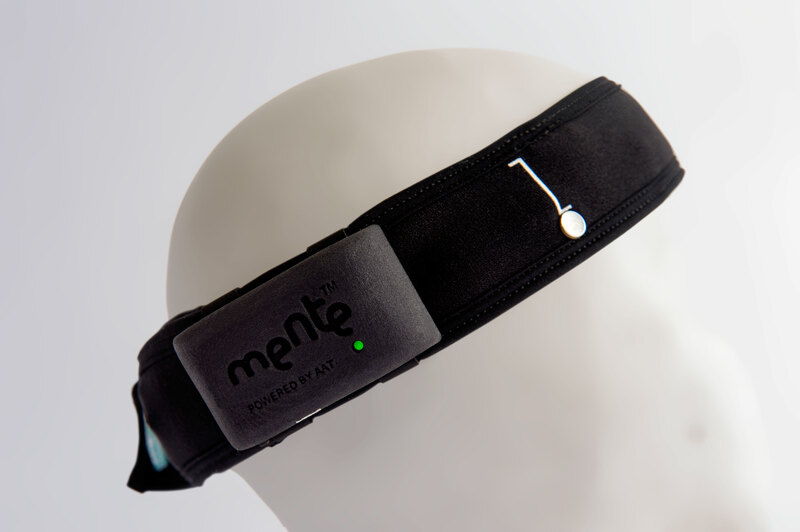 The MenteTM system consists of two components: a headband and software downloaded to the user’s personal computer or smartphone. The headband has five (4 channel) very sensitive EEG pads that pick up minute brainwaves (Alpha, Beta, Delta and Theta waves), emitted by the brain in real time. The MenteTM software interprets the waves, processes them in real time and converts them into harmless, personalised binaural beats which sound like music and which the user listens to either via the computer’s own speakers or the included headphones. 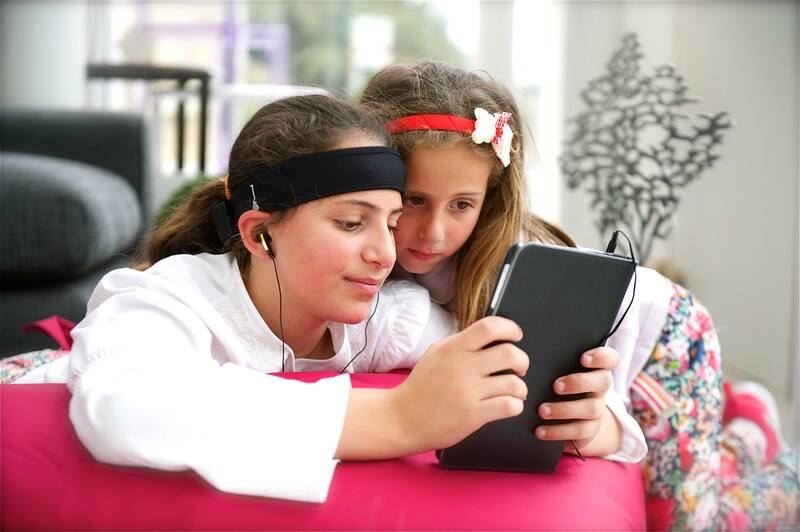 The software, which can be downloaded to a range of devices (PC, Smartphone, Tablet) communicates with the headband via a Wi-Fi connection and allows the user to go about their daily activities without interruption. A child can continue with most routine activities so long as sound and noise interference are eliminated or kept to a minimum. Forty minutes a day at home is all it takes. After each session, the software issues a daily report which shows an EEG representation of the key brainwaves before and after each session. This report is designed for easy interpretation and provides a record of the progress the child is making from daily use of the therapy. Uploaded securelyto the cloud, the report is available anytime and anywhere. MenteTM is an FDA Class 2, CE (pending) and ISO 13485-certified (pending) EEG device. Dr.Attard Trevisan holds a Ph.D in Neuroscience from the University of London and Masters Level qualifications in Engineering and Audiological Sciences from the University of London. He is working on a second Ph.D in Human Physiology at the University of Milan. Since founding AAT Research his academic partners have been University of Milan and University of Malta. In September 2013, he published a paper describing a clinical trial for the science behind Mente 2 in the Journal of Neurological Disorders, published by the University of California, Irvine. Dr. Attard Trevisan leads a team of six scientists. ￼Tel. +356-2133-0588 AAT Research Ltd.
* For more information regarding media usage, ownership and rights please contact AAT Research Ltd .